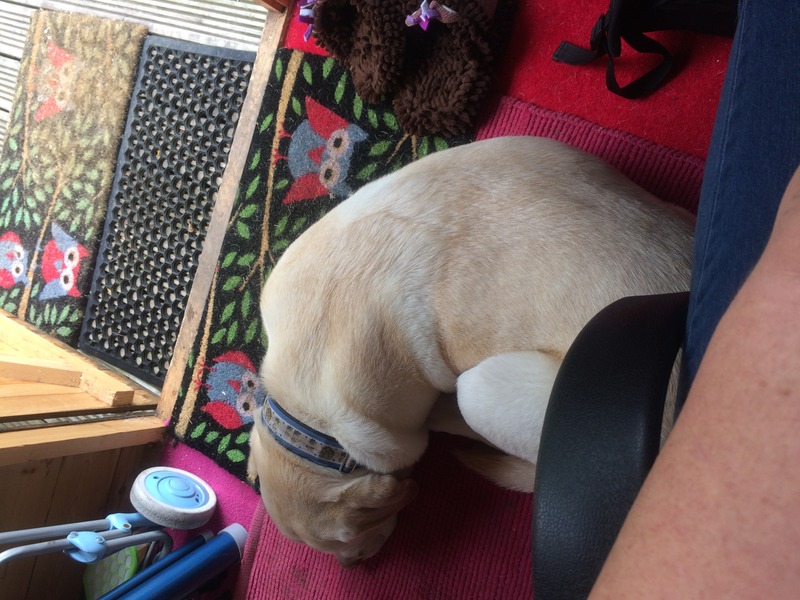 It’s Bring Your Dog To Work Day tomorrow… we have a dog and he often does come with me to the shed on my ‘working’ days. I guess he’s at work with me all the time, as I’m always at work! He is a ‘love-dog’, I’m not a dog person and after I got our first pet (cats) it was Mr F’s turn to choose. He wanted a dog. We got a dog. I’m still not a dog person. He is a failed Guide Dog, the clue is in the title really – he’s quite naughty… I’m learning to love his zest for life. We have whole series in our Frugal Home section about Pets – despite not being the most frugal decision, they do offer important things like improved mental health, if you have a pet that needs walking it can improve your physical health. They are often the first time that children are faced with the complex emotions of loss and grief, we have had to deal with a number of pet deaths recently including two guinea pigs and some fish… They are also an opportunity for children to learn about compassion, care and responsibility as they realise the importance of seeing things through and the amount of care that animals (and humans by default) need. So… in time I will get my turn again to choose our family pet – for now I’m choosing to feel grateful for all the lovely walks I get with the dog (I’m choosing not to think about the fact I have to pick up his poo).